At Countryside Windows, our high-quality bow windows are manufactured using the best materials available to create rooms which are full of light. Offering a true sense of spaciousness, these windows are an architectural feature in their own right which add interest to both the interior and exterior of a property. When considering a new build finish or replacing existing windows, think about what the addition of a such a window could do for your home and the aspect you look out on. In effect, a bow window is made up of four or more different window panes, each set at an angle to the last one to create a staggered curve. In some cases, this can mean that they don’t trap in the amount of heat that you might like, especially when there are large panes of glass involved. Our windows, on the other hand, possess superb thermal retention properties, both because of the glazing used and due to the aluminium frames. When they are installed, even very large windows will stop excessive heat from building up inside during the summer months. Perhaps of more importance, they will also reflect heat back inside during winter, thus minimising the amount of energy that is lost by convection. The aluminium frames used in our products connect seamlessly with one another to make sure that your choice of window looks great as a single item and does not appear like a series of panes strung together. Fitting in perfectly with its surroundings, a bow window should look like it has been there for years, even if the frame makes it appear new. 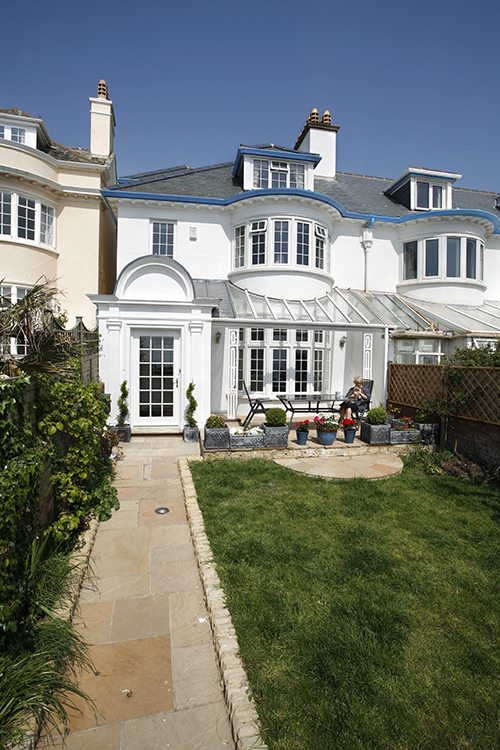 Indeed, the aluminium frames we make will continue to look great for many years to come because they are virtually maintenance free. Just like the glazing elements, all they need is a wipe over to keep them in mint condition, with no painting or weatherproofing needed. Furthermore, they come in a huge variety of paint finishes and can be powder coated, if required. We’ll even offer you the option to have the external part of the frame finished in a different colour from the part that faces indoors in order to help you select windows which fit in with the rest of your interior decoration. 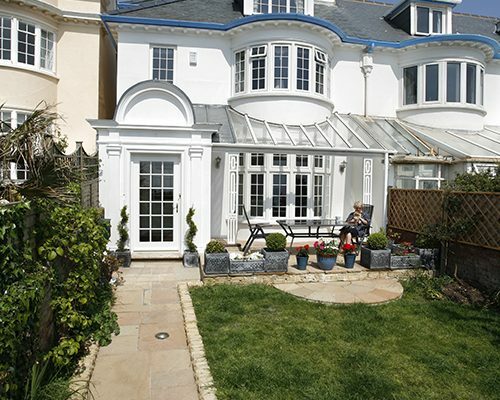 From gently curving windows, which are designed to replace a conventional casement window, to products that are designed specifically for existing semi-circular frontages, Countryside Windows can help. Why not call us to discover how one could give your home a new look?